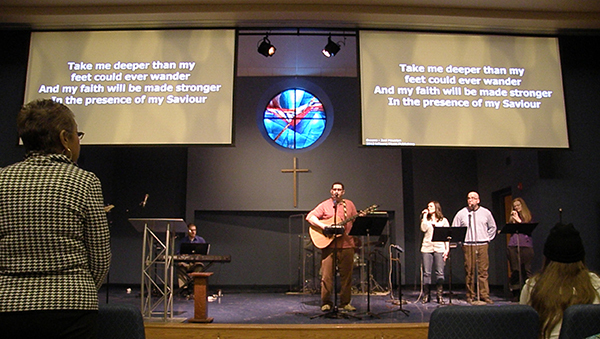 Districts across East Ohio offer training events to enhance the skills of clergy and laity. Developing leaders, aligning resources and inspiring growth have been emphasized by Bishop John Hopkins as the building blocks necessary to increase the number of vital congregations in the conference. 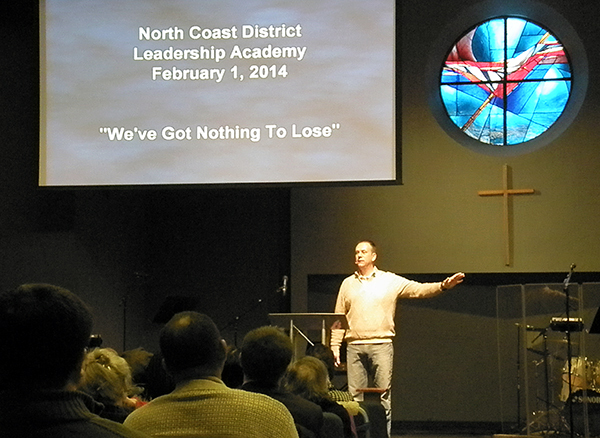 Willing to Risk – Willing to Follow Jesus was the theme for the North Coast District Leadership Academy held at Rocky River United Methodist Church on February 1. 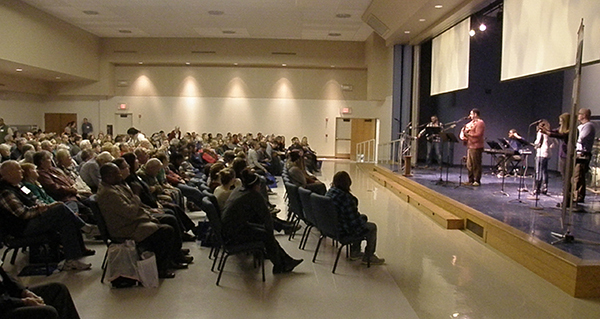 More than 400 people attended worship and then participated in their choice of three workshops, from a list of 32 offerings. The Rev. Dan Bogre used 2 Kings 7:1-20 as the basis for his sermon, “We’ve Got Nothing to Lose.” The scripture reminds us that God does have a calling for each of us, is patient and persistent and will make that calling known, whether we want to hear it or not. Leadership Academy participants learned valuable information while modeling what it means to be followers of Christ. 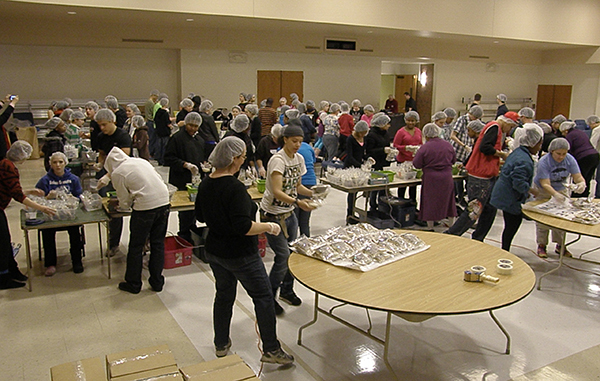 This year’s lunch was the rice-based meal that Stop Hunger Now packages and sends to those in need around the world. The meal was served as a reminder of the daily struggle of many of God’s children around the world. Following lunch, 80 youth and their adult leaders joyfully packaged 25,056 meals in two hours for the international hunger relief agency. Visit the East Ohio Conference Calendar for information on other leadership development opportunities. Previous postIt’s E-News time again!